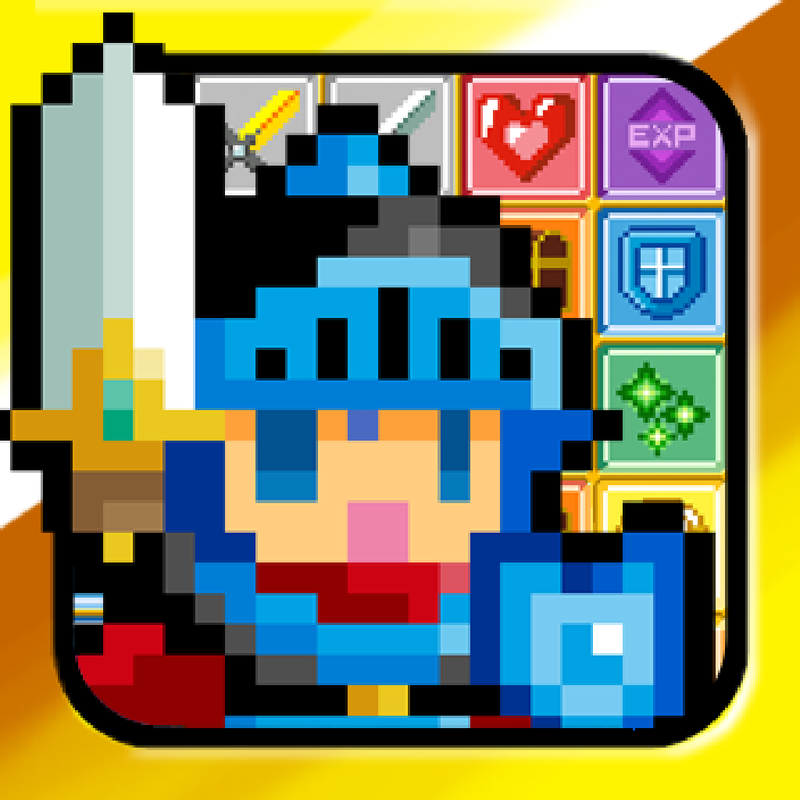 Hero Emblems ($2.99) by CHUN LUNG KUO is an addictive match-three RPG that is harder than it looks. 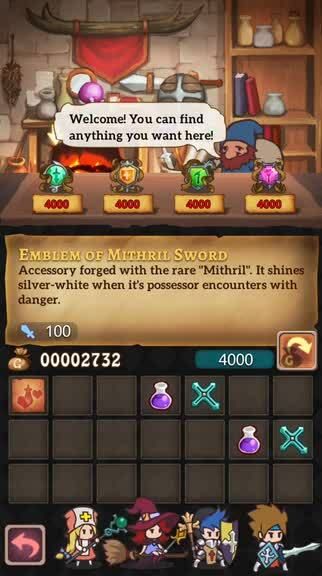 If you are a fan of these types of games, but want something where it feels like you’re making progress, and forces you to think ahead, then you have to check out Hero Emblems. In fact, it’s one game that has kept me busy all throughout the weekend — I literally cannot put this game down or stop thinking about it. 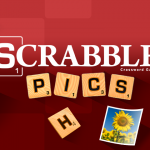 I’m a huge fan of match-three puzzle games and RPGs, so naturally, when you put the two together, it’s pretty much a match made in heaven for me. I’ve tried many of them in the past, including Spellfall, Block Legend, Adventure Xpress, and more. While these were all entertaining for a while, they didn’t keep me playing long enough, as there wasn’t much story and it felt more like making a bunch of matches and hoping something good comes out of it. Then I heard about Hero Emblems over the weekend, and gave it a shot — I haven’t been able to stop playing it for days, and have already logged over six hours in the game. 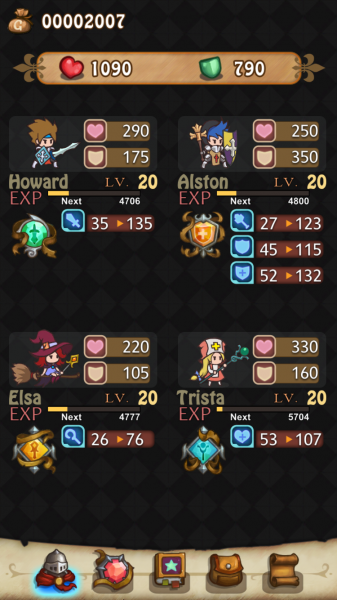 The graphics in Hero Emblems are colorful, cute, and charming. 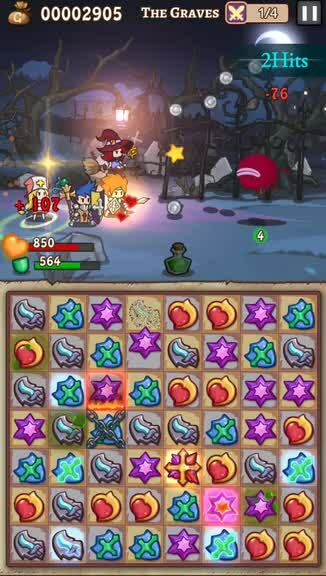 In fact, the characters even remind me of the original Battleheart, due to how they are drawn. The game world is vast, featuring plenty of variety in environments (from desolate ruins and dungeons to calming plains), and all of the enemies you face off against have their own unique appearances, behaviors, and attacks. There are plenty of other characters to meet along the way too, each with their own distinctive traits. The animations in the game are incredibly smooth and fluid, so I had no lag on my iPhone 6. 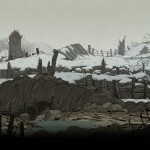 The soundtrack is your typical adventuring fare, but some of the battle themes are fantastic, thanks to catchy tunes. 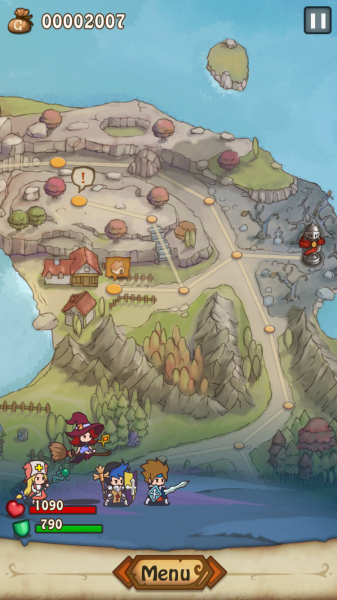 Like other match-three RPG games, there is a world map for you to explore and go through, with battles taking place on spots marked with an exclamation point. However, there is a bit more RPG in this title, since there’s a full blown story to go along with it (a bit corny at times), full humorous dialogue between characters, and even random encounters with mobs as you move on the map. And as I mentioned, in this game it feels like your team gets more powerful the more you play, as you can upgrade their emblems (symbols of their power) and get better skills through rare loot drops or through shops in towns. 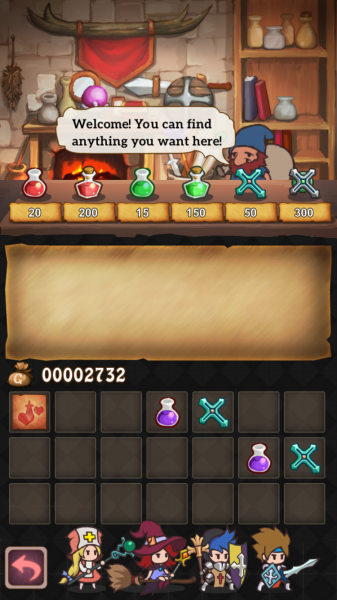 Towns have emblem, skill, and item shops for you to purchase upgrades and useful items in battle, like potions and power-ups. 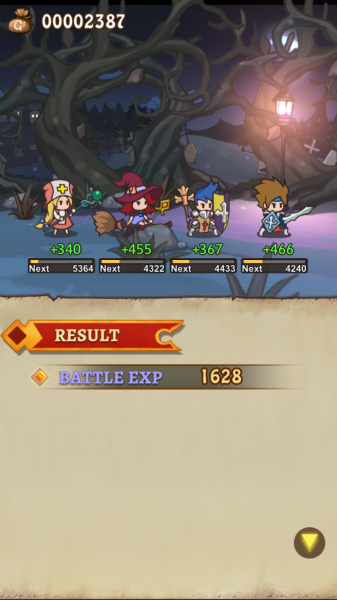 Each battle in Hero Emblems will consist of several different waves of enemies that you must face — the total number is shown at the top of the battle screen. Enemies have a number on them — this is the number of turns that you can make before the enemy is able to take action, so make those turns count! Sometimes, you will also have multiple paths that you can take in an area, which can lead to valuable treasure chests and money hoarders. Boss battles will appear at the end of a stage if it is part of the story, and a large health bar appears on the screen to show you the progress you’re making in bringing it down. If you have played a match-three game before, then you will know the basics of Hero Emblems. 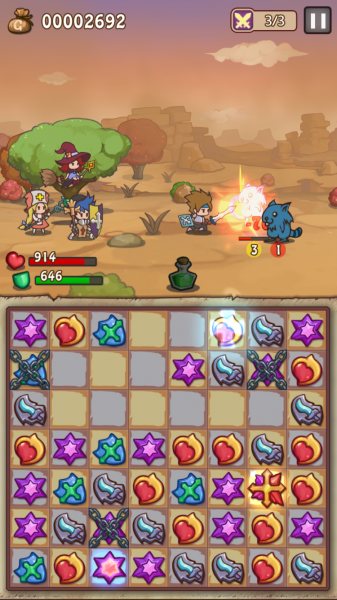 Your party consists of four heroes, known as “Emblem Wielders,” and the game tiles on the board represent their skills: swords are for physical attacks (Howard), shields are to raise defense (Alston), purple stars are for magic attacks (Elsa), and hearts are for healing (Trista). The defense is important, because it will mitigate damage on your actual health bar, so it’s important to keep your defenses up. 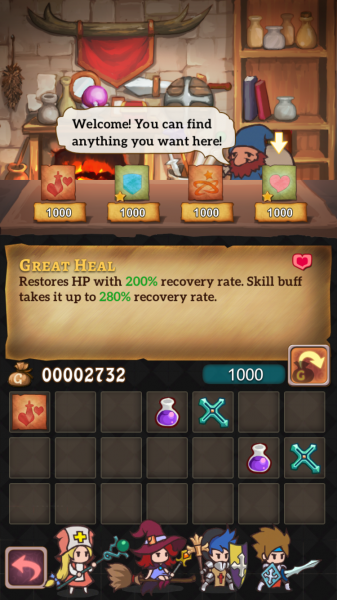 When your health dwindles down to zero, you’ve lost and can go back to the map or try again. When you match at least three symbols, that character will perform their respective action. 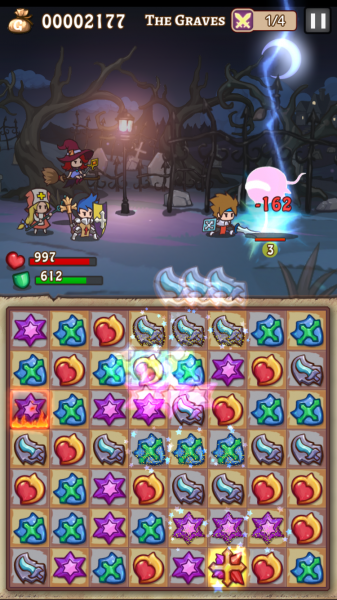 If you match four tiles in a line or a cross formation, you create a buffed up tile that will have that character perform a special attack or skill when it is matched up. If you do a match of five tiles, you create a special tile that can be swapped with any tile to unleash that character’s “ultimate” move, which is great to use on tougher opponents. If two of these special tiles are swapped together, all characters will perform their strongest attack. Since Hero Emblems is a paid game, there are no in-app purchases or ads in the game, so it’s all about skill. While it may seem like a bunch of random matching, players need to think ahead and plan their matches up, because the game does get difficult as you get farther in the story. Failure to do so will result in loss, because those enemies can hit pretty hard. Leveling up your characters to be a good enough level and getting upgrades is also a critical part of the game, just like an actual JRPG. I’ve put hours into this game already, but I’m nowhere near done with it. I love the art style, music, engaging JRPG story, and the challenging gameplay — all of these make the game a fantastic hidden gem among releases last week, and one of my favorite games so far this year. 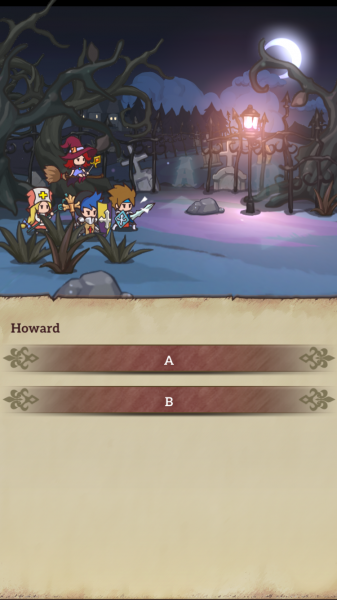 The only flaw of the game that I noticed is the fact that it can freeze up if you have background audio playing, as it consistently kept freezing on the second battle of a stage when I was listening to podcasts in Overcast. Not sure why this is, but I hope the developer can fix it. 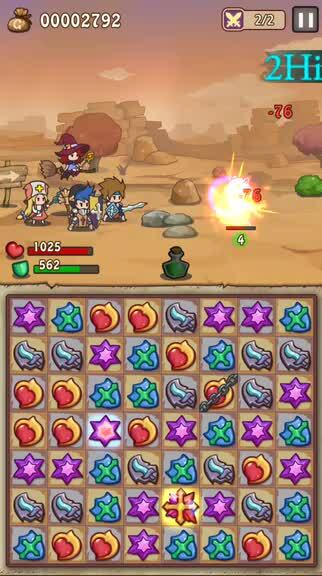 I highly recommend picking up Hero Emblems if you are a fan of match-three puzzle games and JRPGs. You can get Hero Emblems on the App Store as a universal download for $2.99.